Does anyone know if there is a way to force the SharePoint mobile app to display PowerApps-customized forms? These customized forms were saved and published, but the SharePoint mobile app still does not show them. Instead, it shows OOB modern item form. When using a desktop browser - these PowerApps form render just fine. Is this a feature or a bug? Is it even planned to have PowerApps supported in the SharePoint mobile app? 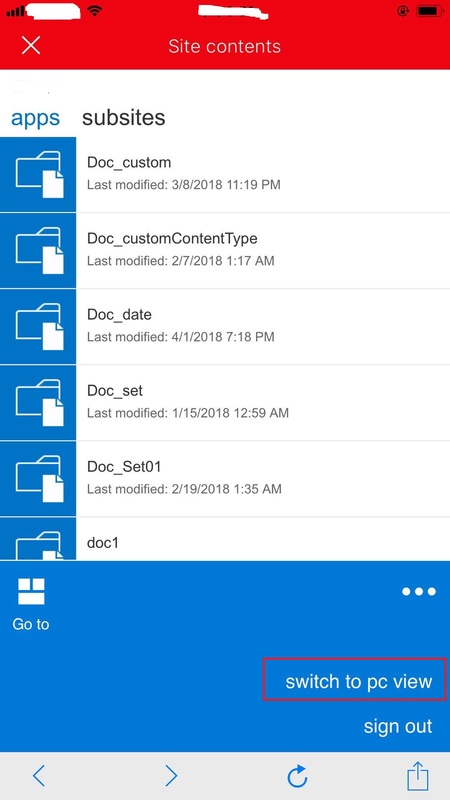 SharePoint mobile app does not support rendering of PowerApps forms. As a workaround, we can open SharePoint site from the browser. Of course, this is a very poor workaround. Do not customize SharePoint forms with PowerApps if you want to have proper mobile support. Use SPFx webparts instead. I have verified the same, the PowerApp-customized forms do not show up on SharePoint mobile app. A suggested workaround could be creating a new app with the same list as a data source( not customizing the form). Then this app would reflect in the powerapp mobile app (not the SharePoint App). Remember: I didn't find a way to share these apps created using powerapp with any of my SharePoint groups. Currently these apps could only be shared with individual users I believe. To display the list form customized by PowerApps, you could switch to pc view like the picture below. In the pc view, you go to the list, and select one item and edit the item. It will display the list form customized by PowerApps. And the button aa in the picture is added in the PowerApps by me. SharePoint mobile app is the new feature. And it will be improved in the future. You could customize the list form in InfoPath. Not the answer you're looking for? Browse other questions tagged sharepoint-online mobile powerapp or ask your own question. 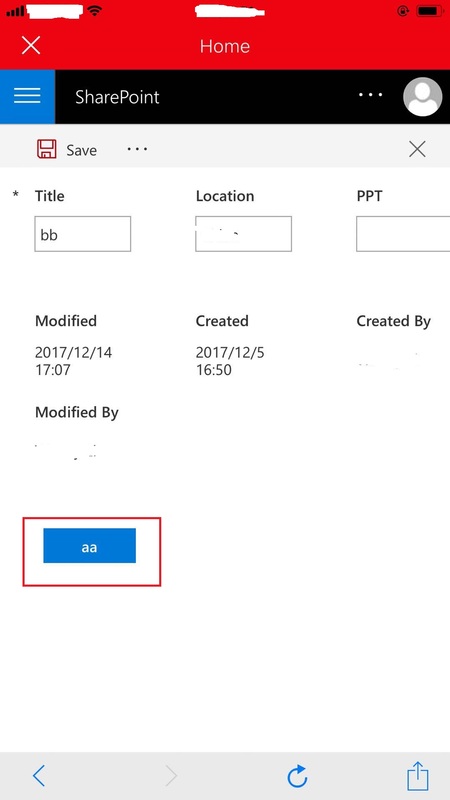 How to change the layouts of the PowerApps-customized SharePoint form?